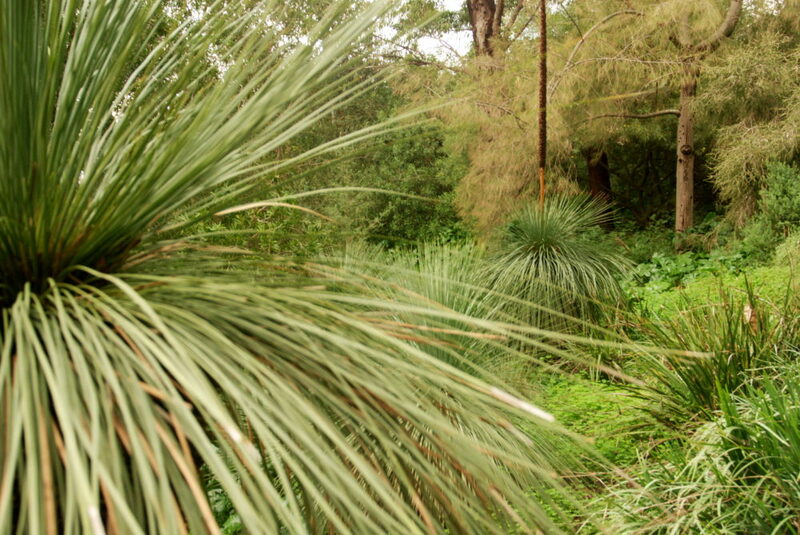 the Kwongan, a landscape of green moors, dominated by ‘black boy’ plants. Evolution has come to a point where some species would disappear without the passage of fire. 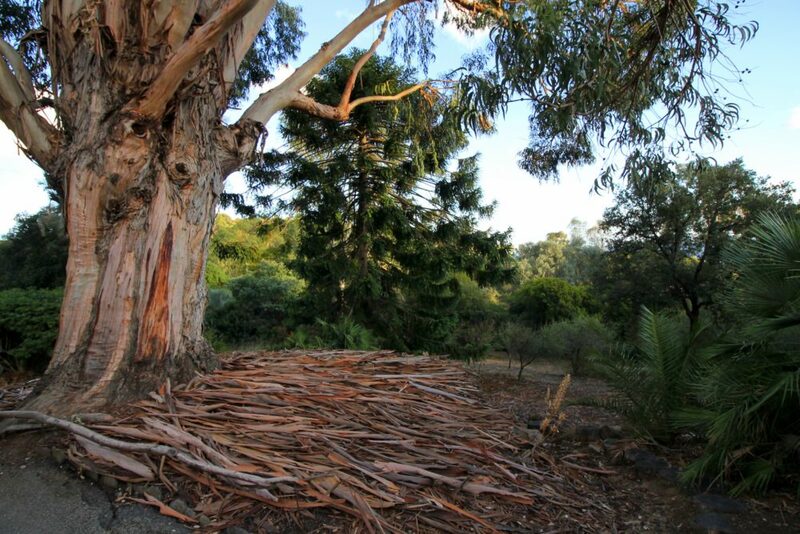 At the Domaine du Rayol, the eucalyptus species evoking the Mallee are small species with lignotubers (i.e. with part of the trunk buried underground). They are therefore able to regenerate after a fire by producing new shoots. 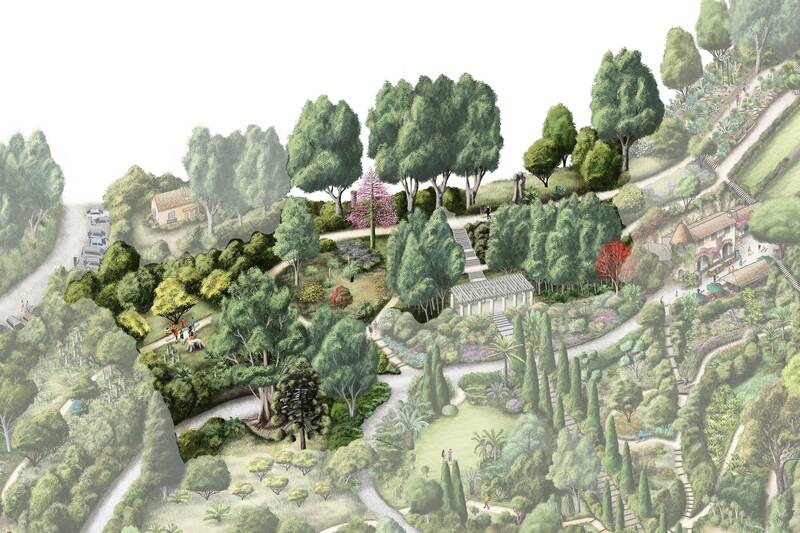 This is why this landscape is dominated by shrubs and bushes with many stems which grow straight out of the ground. 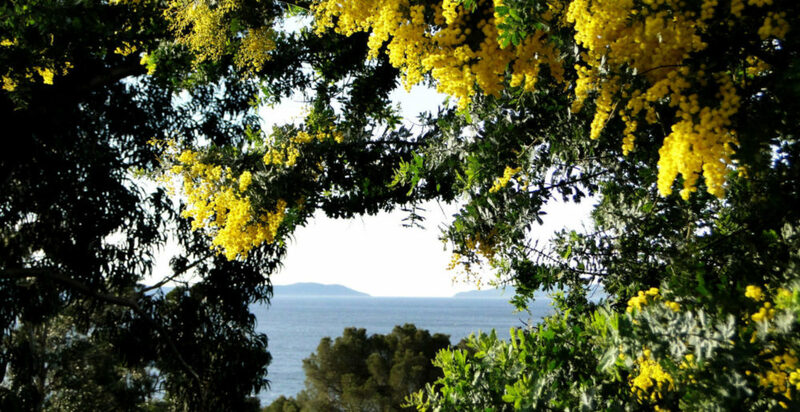 In the Jardin des Méditerranées there are also about fifty species of mimosa, and many Bottlebrush plants and Melaleucas. Further on, the distinctive shapes of black boy plants can be seen, and there are beds of Anigozanthos or kangaroo paw and Australian Proteaceae, such as Grevilleas, Banksias, Hakeas, etc.